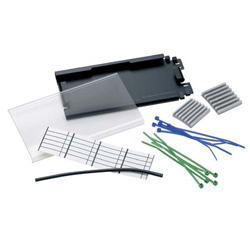 Fiber splice tray kit for up to six mechanical or fusion splices. Stack up to two high using FSTHS stacking holder. For use in FWME2 wall mount enclosure.